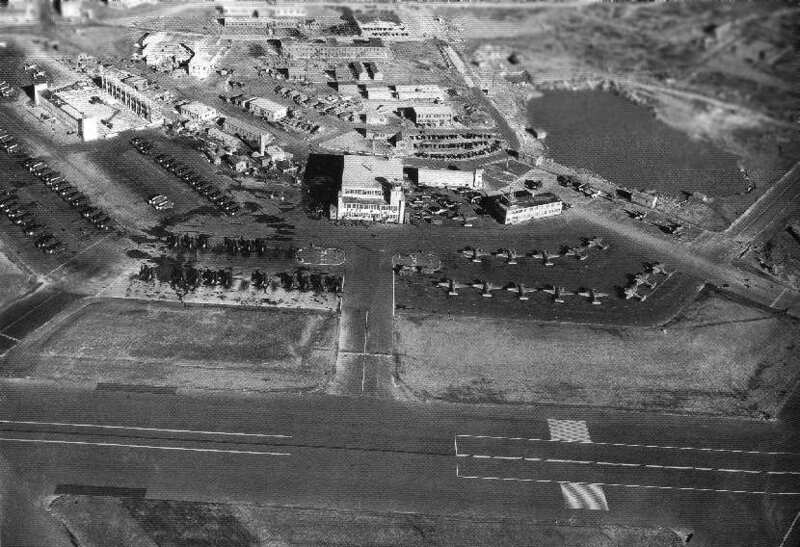 old Rhode Island air fields, click here. "GERMAN ARMY ATTACKS POLAND" was the New York Times headline on September 1, 1939. Those words set the stage for what would soon become World War II. In our country, every city and town has its own story of heroism and sacrifice given by their citizens during that time. Charlestown Rhode Island was among them as it played an important role in our nation's success to defeat the threat from overseas. The attack on Pearl Harbor, December 7, 1941, brought Charlestown right up to the forefront of the war. With aerial attacks now a reality, the War Department created a volunteer Aircraft Warning Service to help protect our coastlines. Although the construction of the Naval Auxiliary Air Field (NAAF), now Ninigret Park, wouldn't take place until 1943, many citizens were enlisting in volunteer service during the war effort. Local Charlestown resident Mrs. Yvonne Behneke was one of them. 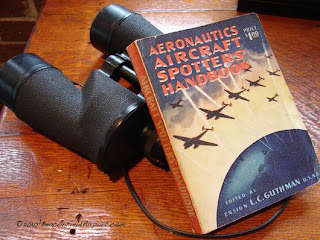 In the summer of 1941 and under the direction of the Ground Observer Station located in Boston Massachusetts, Mrs. Behneke led a group of Charlestown citizens in the instruction of aircraft recognition. The Aircraft Recognition School, for the Charlestown Beach Observation Post, held its first meeting at the Charlestown Community Center (now, Oyster Works architectural firm) . At this meeting, Mrs. Behneke instructed over thirty residents on the principles of the "WEFT" method of recognition which was to master various points of an aircraft and what to look for in wing (W), engine (E), fuselage (F) and tail (T) assembly. The class had representatives from Carolina, Kenyon, Green Hill, Arnolda Colony, Tockwotten and Hill Pasture. At that time, the names of the volunteers were like the "who's who" of Charlestown. Names like Noyes, Tomey, Browning, Ennis, Knudsen, Jackson, Clarke, Mook, Bliven, Kelley, Mageau, Burdick, Hazard, Rathbone, Hoxsie, Grinnell, Arnold, Greene, Link and Johnson just to name a few. After passing the six week course, a pair of spotters would staff the Pond Street observation tower (off Charlestown Beach Road) in four hour shifts. Two of the volunteer spotters, both from Charlestown, were Mildred Link and Genevieve Johnson. They would work their shifts from 11:00 - 3:00 AM with no electricity or heat, just two stools and a desk to write on. 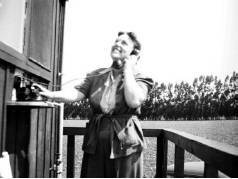 A crank-phone was connected directly to the Civil Defense unit in Boston in case an enemy plane was sighted. During the cold winter nights, these volunteers would layer themselves with extra clothing, wrap themselves in wool blankets to stay warm, drink hot coffee from a thermos and maybe, just maybe take a sip of brandy from a flask. Late August of 1943, the Naval Auxiliary Air Field (NAAF) in Charlestown began operation and was offering citizen employment to local residents. Childhood friends, Millie and Gen jumped at that opportunity and took work as a clerk and bookkeeper. A result of this career move, these young ladies met their future husbands, LCDR Glenn (Bud) F. Godden and LCDR Bernard (Jim) J. Glista as they each served and trained at NAAF Charlestown. At the height of its operation, NAAF Charlestown became home for over 1,500 men. Until completed in 1945, many naval personnel resided in Burlingame State Park using tents as their barracks. 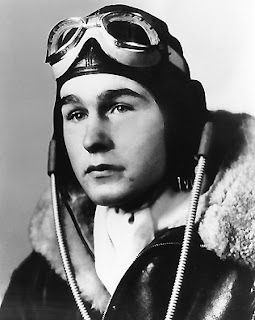 One pilot who served from November of 1943 through January of 1944 was Ensign George H.W. Bush, former President of the United States. Night Fighter Training became a specialty at the air base. Men were trained to ignore their senses and basic instincts and to rely totally on their instruments. Night Fighters lived "on the back side of the clock", training every available hour in all weather. Ultimately, casualties occurred. Sixty-two pilots died in training while NAAF Charlestown was in operation through 1973, over forty perished during WWII alone. Dedicated night Air Groups were trained as cohesive units and deployed as units on aircraft carriers dedicated to Night Air Combat. From "Charlietown" to Hawaii, the aviators who trained here served on the Carriers Independence, Saratoga, Hornet, Enterprise and Franklin.